Join us for lunch and some Noontime Knowledge at the Chamber! 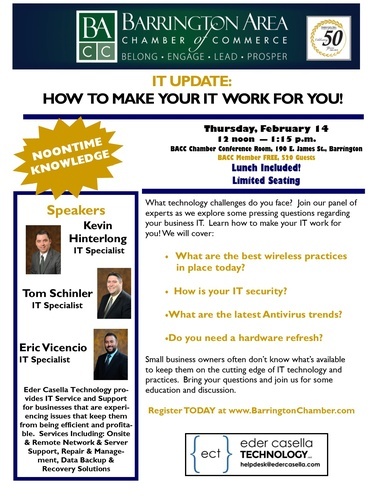 Learn "How to Make Your IT Work for You," presented by IT specialists Kevin Hinterlong, Tom Schinler and Eric Vincencio of Eder Casella Technology. BACC Conference room, 190 E. James St. in Barrington.